Acacia specializes in truly hand crafted custom iron work. We are not limited to "catalog" pieces as our competitors are. We provide our clients with fresh 100% custom designs. From railings, grand entry doors, furniture, fencing, gates, modern, traditional, and our line from Luceo Window and Door Sytems. Ironwood Metal Works is dedicated to providing the best quality metal and wood fabricated products to our customers. As a family-operated company, we know the importance of hard work and we are driven by our values to perfect our trade, open lines of communication at all levels, strong work ethic, inclusiveness and integrity as a company. We pride ourselves in our attention to detail and will work diligently to give our customers a product they love. Custom metal and wood fabrication specializing in live edge furniture, signage, screens, accent walls/panels, and much more. Artistic Alloys is a custom metal fabrication company in Scottsdale, AZ 85251 providing welding services, custom metal fabrication, Iron entry doors, custom entry doors, custom wrought iron gates, custom fireplaces, custom commercial kitchen metal fabrication, driveway gates, custom metal staircase railings, walk gates, commercial restaurant accessories, custom mailboxes, custom metal business signs and commercial entry doors, oven hoods & custom kitchen accessories, park add-ons, custom wine rooms, metal walls & tables, steel windows and doors and commercial doors and windows. As one of the leaders in the custom metal fabricating industry, our experience paired your design ideas will ensure a finished product better then you had hoped for. We only use the highest quality metals in our projects, such as iron, steel, aluminum, brass, copper and zinc. Installing wrought iron entry doors not only increases the value of your home but also the security! When installing doors into your home, your usual concerns are whether it will be durable in all types of weather but also, will it keep you and your family safe. 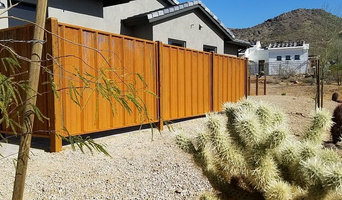 With Iron Doors Arizona’s gorgeous wrought iron security doors in Phoenix, AZ, and nearby areas, you will know you are buying luxury and protection from theft and the elements. How Are Wrought Iron Entry Doors Safer? Iron doors are made of a stronger material compared to wood or fiberglass. Burglars can easily shatter these flimsy materials. However, when it comes to iron, they will have a much harder time trying to damage it. As a result, most burglars will be deterred from trying to force their way into your home. 5 Ways Wrought Iron Doors are More Secure Since iron doors are so sturdy and heavyweight, they are not easily moved or damaged. This helps prevent theft but also can protect your home from the weather. At Iron Doors Arizona, our expert craftsmen use dual sealing around the Low-E glass to allow weather stripping. This technique creates higher energy efficiency in your door. 1. More Durable than Standard Front Doors 2. Quality Construction Deters Burglars 3. Wrought Iron is Strong Enough to Prevent Home Invasion 4. Iron Doors Strength Do Not Lesson Due to the Elements 5. 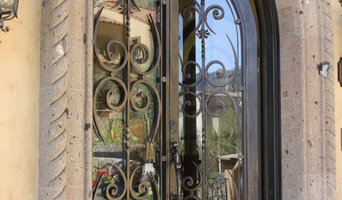 Many Iron Doors Have Opening Glass with Doors Securely Shut For help on purchasing our wrought iron security doors in Phoenix, AZ, and nearby areas, give us a call at (602) 497-2974 today! 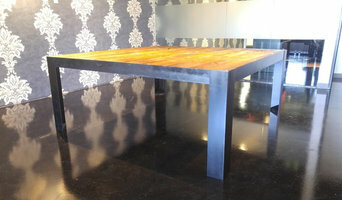 Artisan Iron Co. specializes in modern and industrial furniture and home decor. Utilizing fine alloys and patinas for perfect finishes. 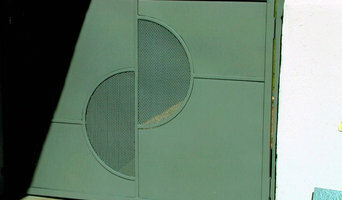 Metal Fabrication for all applications! A family owned welding business with 25+ years of experience that specializes in high detail, custom jobs as well as affordable, basic projects. Ornamental Iron Scottsdale,Automatic Gates Scottsdale,Automatic Gate,Gates,Electric Gates,Staircase Railing Scottsdale. Majestic Metal Works LLC is a family owned and operated business with nearly 20 years of combined quality iron fabrication experience. Our family wanted to bring the individualized service and quality workmanship that your home and family deserves. Each door is made specifically for you! The person that measures, quotes, and builds your door will know you and be your personal point of contact at all times. We specialize in iron entry doors, entry gates, ornamental railings, and variety of custom fabrication projects. Nothing can beat our combination of quality, service, and price. We are excited to share our passion for ornamental iron with you! With years of metal fabrication experience under our belts and having worked with local architects, landscape designers, and artists, we have the expertise to produce just about anything. Experienced custom metal engineering, fabrication and welding for all industrial, commercial, residential and specialized applications. An ornamental ironworker fabricates bulk iron into the types of structures that a particular home calls for, then installs them onsite. Some of these pieces are mass produced, others custom crafted. Many ornamental ironworkers also have the design skills to fashion unique decorative components. Ironworkers must be trained in safety to create elements such as railings and balconies that both satisfy a home’s aesthetic needs and meet Fountain Hills, AZ building codes. Here are some related professionals and vendors to complement the work of ironwork: Fencing & Gate Sales & Construction, Decks, Patios & Outdoor Enclosures, Siding & Exteriors. Find an ironworker on Houzz. 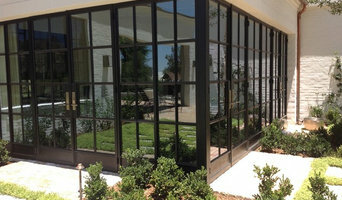 Narrow your search in the Professionals section of the website to Fountain Hills, AZ ironwork. You can also look through Fountain Hills, AZ photos to find examples of ironwork that you like, then contact the ironworker who fabricated them.